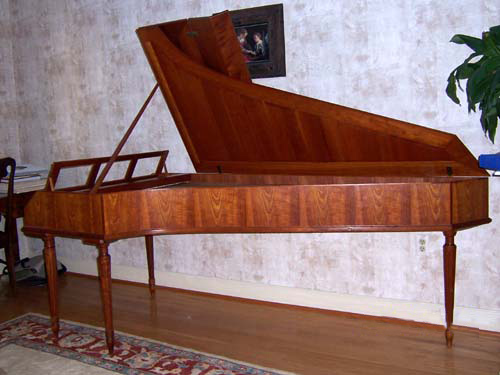 This instrument was begun by Walter Bishop and completed by Anne (Beetem) Acker. 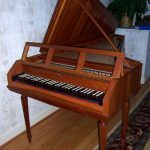 Originally a “ZuckerStein”, Anne has redesigned the scaling and slightly modified the action for a more tuning stable piano which players rave over. The action dances, the sound is sweet and clear, and the bass is rich and solid, correcting a flabbiness in the bass of the original design. 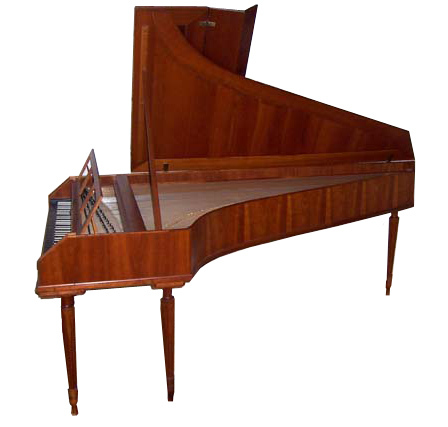 Despite being a full five octaves it looks more like a harpsichord than a piano. This instrument is perfect for either solo work or with chamber ensemble or orchestra. 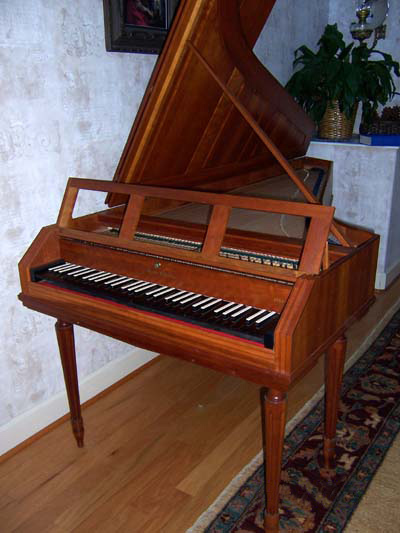 There is nothing better for Mozart, Haydn, J.C. Bach, and all the other classical and gallant composers. 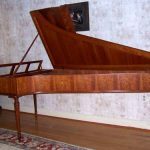 The first half of Beethoven’s sonatas, and of course all his “smaller” keyboard works are also completely suited to this piano. Action strung in soft iron, yellow and red brass; dampers lifted by knee levers; hand-operated moderator; beautiful early fast Viennese action.